this is a fantastic recipe that i have made for the little she so many times. 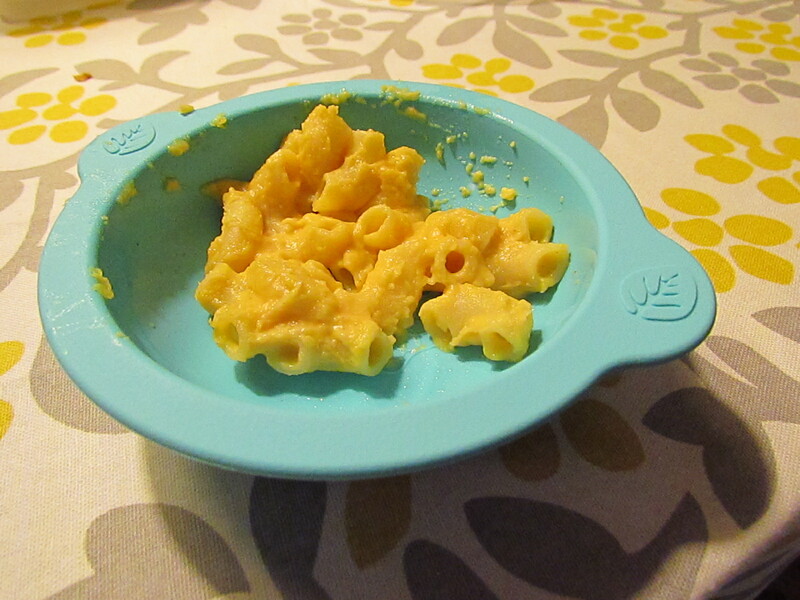 i had been looking for a kid-friendly macaroni and cheese, but one that was fairly healthy. the first time i made this was with my mom while she was in town visiting. and after the little girl had her fill, us big girls finished off the rest! 1. bring a pot of salted water to a boil, add the macaroni and cook according to package directions until al dente. drain. 2. while the macaroni is cooking, combine the beans and the milk in a food processor and process until pureed. 3. coat a large saucepan with cooking spray and set it over medium heat. add the bean mixture to the pan and cook, stirring until smooth, 1-2 minutes. add the cheese and cook until melted and creamy, 1-2 minutes longer. stir in salt, garlic powder, paprika & pepper. 4. stir in the macaroni and serve warm. from the cookbook deceptively delicious by jessica seinfeld. i highly recommend this cookbook.